Presbyopia is an eye defect associated with age - it usually appears between the age of 40 and 45 due to the ageing of the eye’s lens, causing a decrease in the ability to sharply focus on nearby objects. According to the researcher "there are several options to compensate for this anomaly, such as progressive glasses, surgery or multifocal contact lenses, among others. These lenses, as it happens with the intraocular ones, "generate several foci so that users can focus at different distances (short, medium and long) and the brain learns to select at any time which image they need to use" he reported. But a recurrent problem referred by a percentage of people who use multifocal contact lenses to correct presbyopia is that they do not work in all cases, Piñero said. Aware of this pitfall, the University of Alicante researchers have managed to establish adaptation patterns based on a number of variables of anatomical and optical parameters that allow us to determine which lens design is best suited to each person’s eye conditions. As reported by David Piñero, the optical quality of the eye is highly personalised without having to go through a complex testing process. Another advantage of this lens is that it does not touch the cornea at any point because it rests on the scleral area (white part of the eye), which prevents it from moving when used. 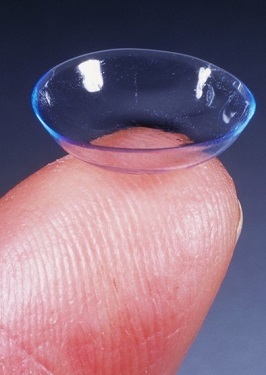 "We have created, therefore, a completely stable fixed scleral contact lens that is, moreover, not noticeable as it based on the less sensitive and innervated part of the eye: the scleral connective surface", as he explained. The creation of this inexpensive new customised multifocal lens is the result of a project that began in 2016 and has been carried out within the framework of the "proof of concept" funding from the UA Office of the Vice President for Research and Knowledge Transfer. Also, the firm Lenticon SA has contributed part of the cost and has just purchased the commercial operating licence. Currently, the CE marking is being processed to target the international market. "Tests have already been done with this lens in several people with different profiles that have highlighted, among other positive aspects, comfort and good quality of vision from far and near," UA researcher stated.